At Manna Community CIC we want to encourage people to talk about our brand, to use our brand, and to partner with us, however, it is important that we ensure our trademark is protected. Our trademark gives us the exclusive right to use the term in the naming of projects and services. Although those rights are ours, we are happy to give people permission to use the term under certain circumstances. You may use the Manna Community CIC name (but not the Manna Community CIC logo) in descriptions of your projects and services, to provide accurate information to the public about the relationship between yourself and us. You must make clear that you are not Manna Community CIC and that you do not represent Manna Community CIC. A simple disclaimer is an excellent way of doing that. 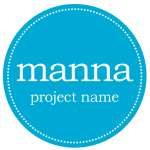 As a general rule, third parties may not use the Manna Community CIC Logo (“Logo”) and you may not incorporate the Manna Community CIC name or logo into the name or logo of your projects and services. On this page are the limited circumstances under which third parties may use the Manna Community CIC Logo. The Logo must always be used in line with the specifications on this page to identify Manna Community CIC, or Manna Community CIC projects and services. Any use that falls outside of these specifications is strictly prohibited. 1.1 At the bottom of advertising, marketing collateral, or a website that references your connection with Manna Community CIC (for example, the material states that you are a partner of Manna Community CIC projects and services). 1.2 In an area of a website, advertising, or marketing collateral exclusively dedicated to the promotion of Manna Community CIC projects and services, and in such a manner that associates official Manna Community CIC projects and services with the Manna Community CIC Corporate logo. 2.1 The Logo may not be used in any manner that might imply that any non-Manna Community CIC projects and services are affiliated with Manna Community CIC. 2.2 The Logo may not be displayed as a primary or prominent feature on any non-Manna Community CIC projects and services. Companies using the Logo pursuant to these guidelines must also display in the primary and more prominent position, their own logo(s), business name, product names, or other branding. 2.4 The Logo may not be used in a manner that would disparage Manna Community CIC projects and services. 2.5 The Logo must be used as provided by Manna Community CIC with no changes, including but not limited to changes in the color, proportion, or design, or removal of any words, artwork, or trademark symbols. 3.4 The Logo must never be used to represent the word “Manna Community CIC” in text, including in a headline, product-name logotype, or body copy. 3.5 The Logo must not be incorporated or used in any manner as part of, or in close proximity to another company’s name, domain name, product or service name, logo, trade dress, design, slogan, or other trademarks. 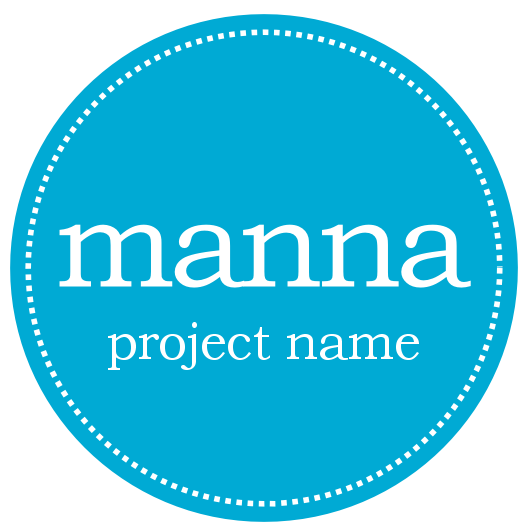 3.7 The attribution clause “Manna [NAME] is a project name of Manna Community CIC” must accompany use of the Logo. 3.8 Neither the Logo nor the Manna Community CIC name may be used in any other company name, product name, service name, domain name, website title, publication title, or the like. … supporting people on life’s journey. This tagline is reserved for exclusive use by Manna Community CIC. Manna Community CIC reserves the right in its sole discretion to terminate or modify permission to display the Logo, and may request that third parties modify or delete any use of the Logo that, in Manna Community CIC sole judgment, does not comply with these guidelines, or might otherwise impair Manna Community CIC rights in the Logo. Manna Community CIC further reserves the right to object to unfair uses or misuses of its trademarks or other violations of applicable law.